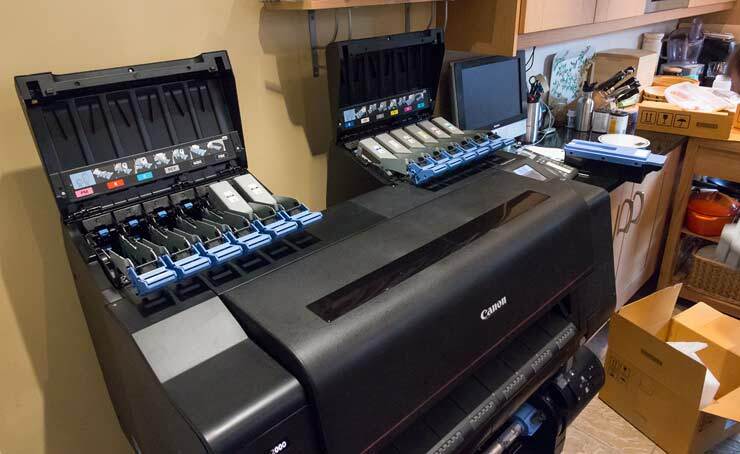 After an extended period testing Canon’s PRO-2000 24″ large format printer, it was time for it to go back. These short notes address some of the issues you should think about if moving a printer (2000 or the larger 4000) that has ink in it, i.e. a working printer. 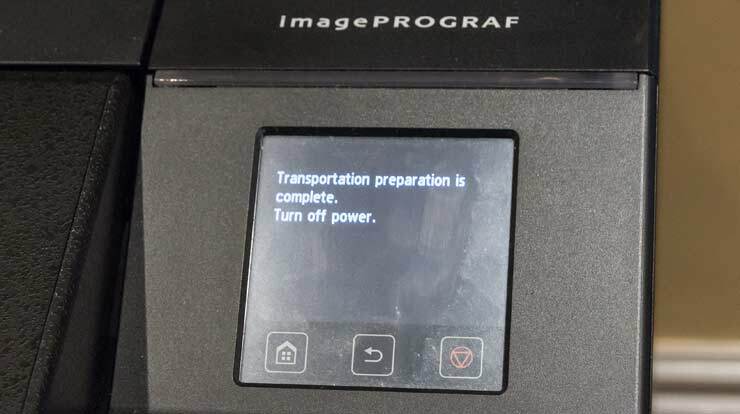 Depending on how much it needs tilting, you may find that quite a bit of ink is used up preparing the printer for transport. So, if you want to move your printer at a later date, take care in where you put it. 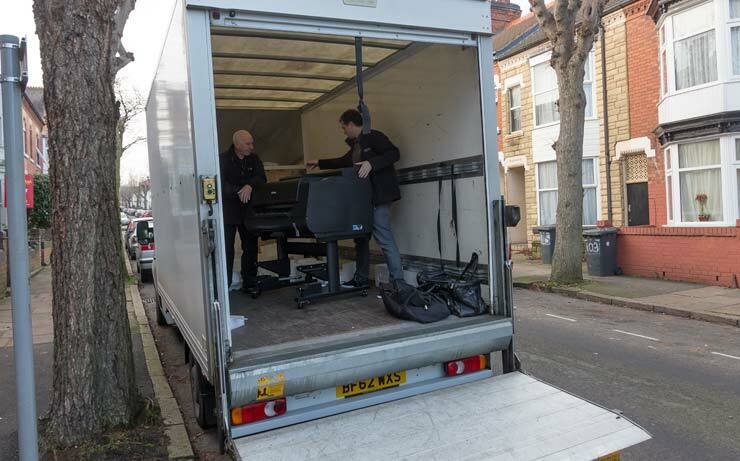 When the PRO-2000 was first bought here, it was the second to turn up, since the first had been shipped already set up, and couldn’t be tilted to get it into our house. See my PRO-2000 setup and installation articles for more details. 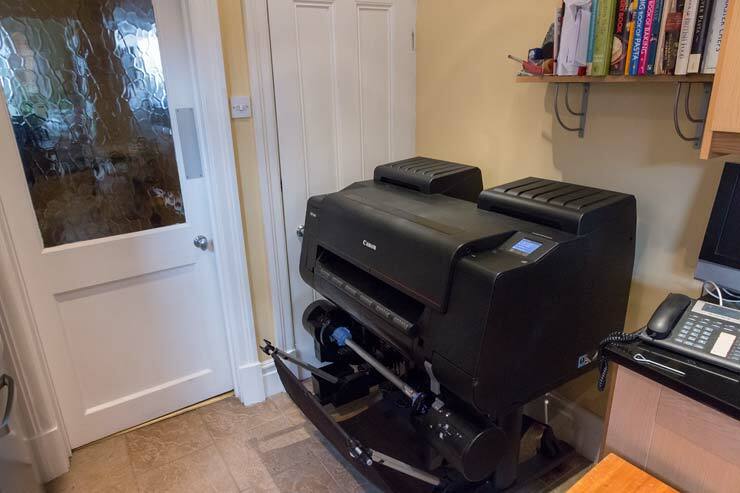 Here’s the printer and the door it has to leave by. I know that ‘several’ maintenance carts may be required, so I check the status of the current cart. This is still the original cart that came with the printer – every ink cart has been replaced at some point during testing. I’ve made a lot of prints. The menu has three options for shipping. The first just locks the print head assembly, the second does a bit more (and clears a bit of ink) whilst the third is effectively a full drain. I’m told that when moving printers to trade shows, the first option is all that people a Canon UK use. The carts are self sealing, so just go in a box. 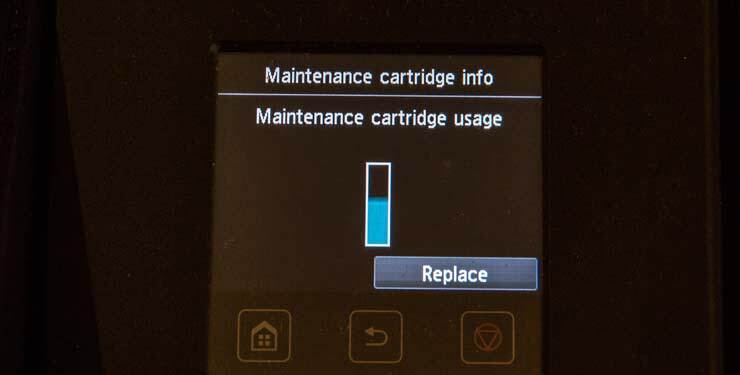 Once completed, the printer will drain ink from the lines, subtanks and printhead. This goes into the maintenance tank. I’ve actually weighed all the empty/full carts, so will have a total ink ‘lost’ at the end. After a few minutes, my part filled tank is full. Another pristine cart is inserted. A third cart is part filled. So, essentially you need two new maintenance carts for the shipping. We are now running on fumes, so the printer is good to go. This doorway is 74cm (~29 inches) wide. 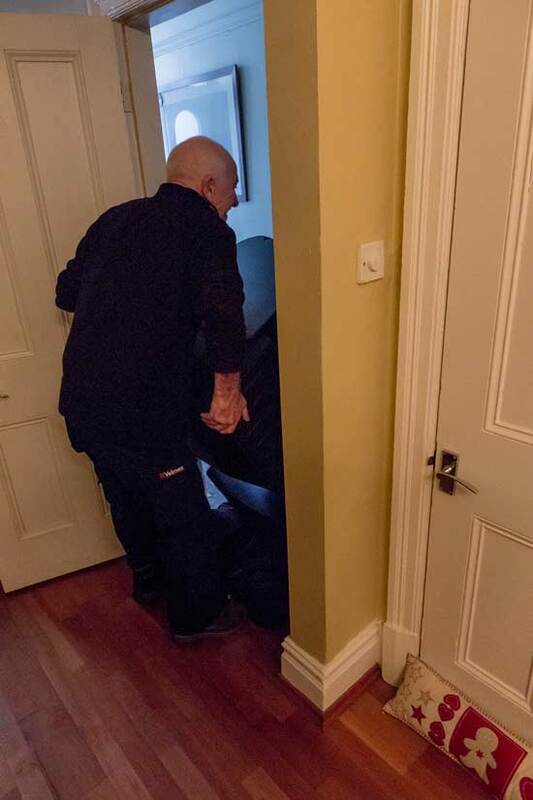 Then tipping on its end to get out to the hallway and round the corner to the left. Finally out of the house, back on the stand and into a van. So, the printer is ready to go. The part filled cart was 967g at the start and weighed 1218g when changed. Cart #1 had 251g of ink added. Cart #2 was empty to start and weighed 1615g when full. Cart #2 had 1045g of ink added. Cart #3 was empty to start and weighed 700g when the printer was flagged as ready to move. Cart #3 had 130g of ink added. 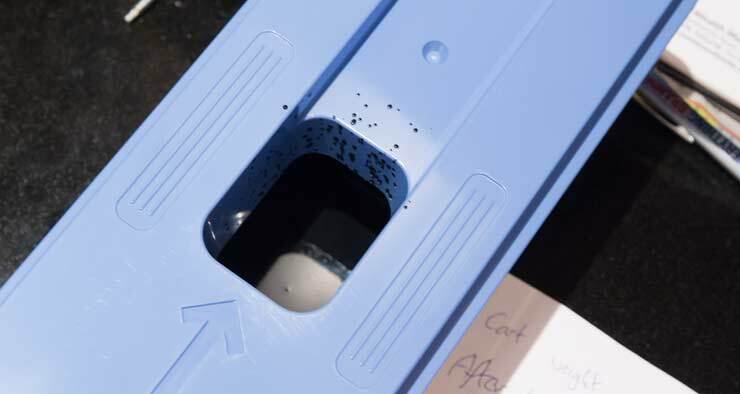 Assuming that the density of the pigment ink is no more than a bit more than water, we’re looking at a total of just under one and a half litres of ink. The PRO-4000 has longer ink lines so the figure would be slightly higher, but not that much, since most of the ink drained was in the sub-tanks. 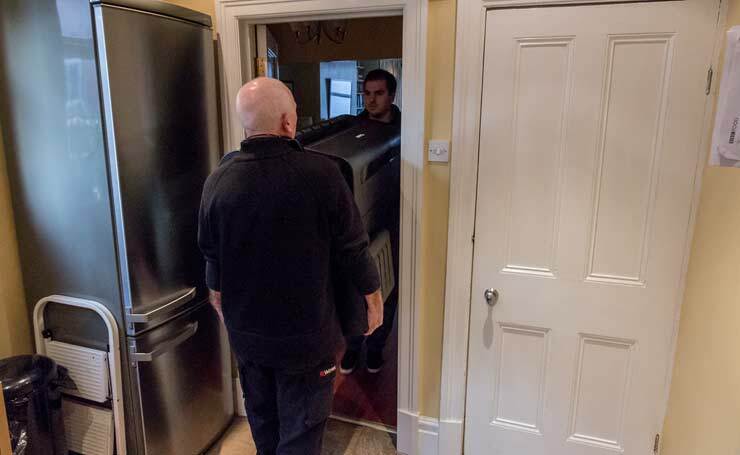 My take away observation for this is that if you ever want to move your large format printer, install it in a place where it can be moved without tipping very much. Thanks to the guys at Velmex for their patience whilst I did the weighing and photos. 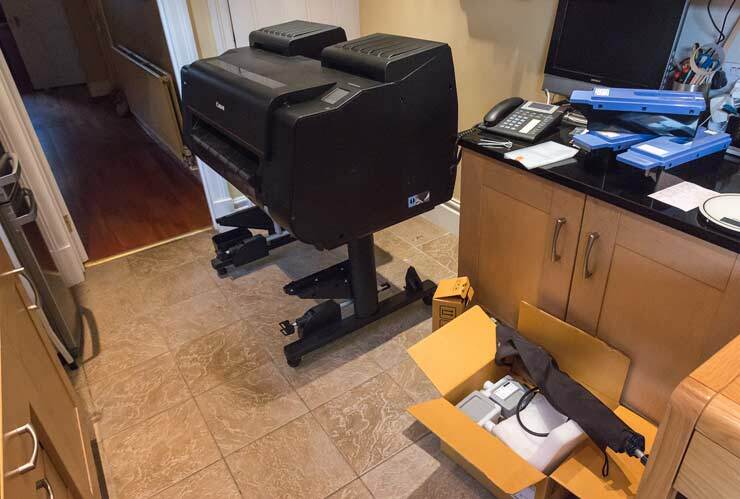 The PRO-2000 is an excellent printer in day to day use – see my printer setup article and full PRO-2000 review for more.